An end to animal testing for cosmetics is 'coming into view' according to a cosmetic expert. Rob Harrison is Prize Director for cruelty-free cosmetics giant Lush. 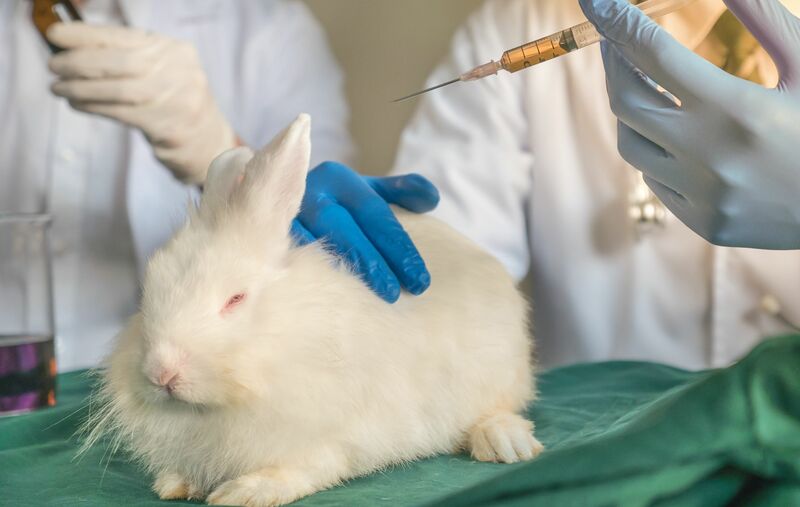 In a statement sent to Plant Based News, he discussed how advancements in tech mean animal experimentation could be phased out in coming years. Lush has just awarded its £350,000 prize fund, which focuses on he complete replacement of animal tests. The prize fund is aimed at bringing 'forward the date when no further product safety testing on animals was required'. The £50,000 Science Prize was awarded to the investigator and his team behind a new blinking eye-on-a-chip. "The eye, composed of human cells, has tear ducts and an eyelid which blinks to respond to foreign bodies in the same way that a human or animal would," Lush told PBN. "As well as aiding in drug discovery, the eye on a chip may help replace the controversial Draize test for eye irritation which restrains rows of rabbits in stocks in order to administer chemicals to their eyes." Accepting the prize, Dan Dongeun Huh, a Korean-American bio-engineer who holds the Wilf Family Term Assistant Professor position in the Department of Bioengineering at the University of Pennsylvania, said: "With an increasing body of evidence pointing to considerable interspecies differences in fundamental biological processes, animal studies are now raising major scientific, economic and ethical concerns. "My research over the last decade has sought to challenge the animal-based traditional research paradigm and to develop innovative bioengineering technologies." "Over the last five years we have witnessed a huge upsurge of interest in the potential of organs on chips’ to replace animal use in science," added Rob Harrison, Lush Prize. "Professor Huh's blinking eye-on-a-chip has caught the imagination of our Judges. The eye, and other human organs on chips, provide a clear vision of what a complete replacement technology for animal use in science might look like. "We think that an end for all animal testing is now coming into view."